This level has medium difficulty. 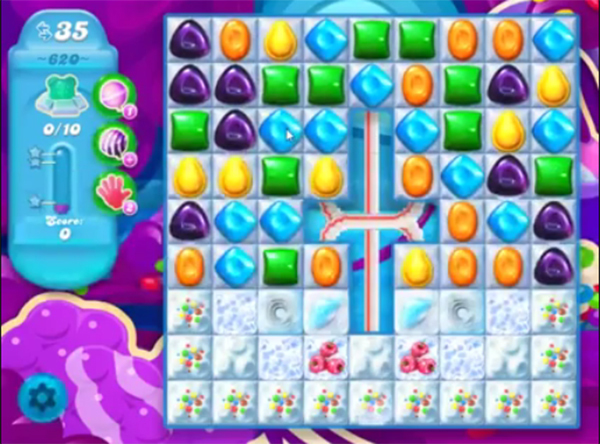 For this level try to make special candy by combining purple candy to get more special candy to break more snow blockers. Or combine special candy as you get the chance or play near to remaining snow candy to break them all to find all bears within 35 moves. Ok, I really hate this level. I can get 7 of the bears, but not all 10.